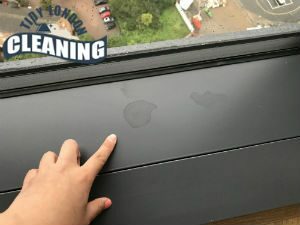 If cleaning is not something that you do with pleasure, we have the perfect solution for you. Hire one of our diligent cleaners and your home will be always clean and sanitised, without you lifting a finger. You can find us everywhere in Brixton and our professional help won’t cost you too much. The quality of our work is high but our prices are low. We are a prestigious company with extensive experience in the field of cleaning. Many people have already tried our domestic cleaning services and we are famous for our exceptional cleaning results in the whole region. We always honour our promises and achieve the desired level of cleanliness. Give us a chance and you also will experience the pleasure of working with us. Our company commands a team of vetted and skilful cleaning experts, who possess all the required skills and expertise to carry out a professional domestic cleaning. All of them are thoroughly trained and disciplined cleaners. For your assurance, they are fully insured and have clear criminal records. Their only desire is to be as helpful as possible to you and make your home neat and cosy. We are flexible and able to satisfy every need. You can book one-off cleaning sessions with us or use our services on a regular basis. Your domestic cleaner can visit you weekly, fortnightly or monthly. No matter what you prefer, we promise that they will make your home as clean as you want it to be. Once our cleaner is in your home, they will wipe all kitchen appliances, clean the cupboards, the cabinets and wardrobes from the outside, sanitise the bathroom, vacuum and mop all floors, change the linen, etc. If you have any special desires feel free to share them with us. This can only help us satisfy your personal needs. Our company is always at your disposal in W2 when you are in need of a professional cleaner. Just give us a call and we will schedule your domestic cleaning right away. What else you need to know about our company? Brixton is one of the 35 major centres in Greater London. It is located within the Borough of Lambeth, only a 4.3 km away from the centre of the capital. It is a residential area, mostly populated by a multi-ethnic community. Brixton was initially founded as a settlement area in the 18th century when it was almost entirely covered with woods and locals made the decision to move away from the hubbub of London. For long years, it did not developed much but then the change happened with the opening of new roads. Today Brixton is one of the most thriving suburbs of the capital and has a lot to offer to locals and residents. There is a range of cafés, restaurants, shops, pubs and more. Brixton can brag about at least one more thing- it was once a home and a residence for Charlie Chaplin. Whenever you can’t make the time to do a proper house cleaning or you are just tired from the long week at work and you want to enjoy your free time, you can leave the burdensome chores to our company. We will provide an amazing domestic cleaning service which will give your home a perfect look in no time. 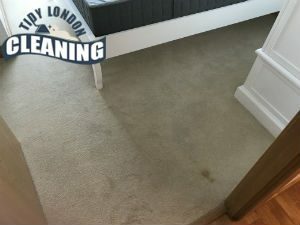 We hope that you will give us a chance to prove you that we can handle any stain with extreme ease and demonstrate you our outstanding cleaning skills. We provide our services across entire Brixton, seven days a week, so feel free to contact us whenever it is most convenient for you.